The month of March opens with a celebration of vocal jazz in Edmonds as it welcomes the 2018 DeMiero Jazz Festival, running Thursday, March 1, through Saturday, March 3. Now in its 42nd year, the non-competitive vocal jazz festival features an all-star lineup of Grammy-nominated and regional vocalists in evening performances, as well as over 60 school and community jazz choirs during the daytime festival. Attendees can observe the future of vocal jazz as students from elementary, high school, college, and community choirs work with world-class professionals during the two days of clinics, workshops, and master classes. These daytime events are free to the public. On Thursday, March 1, at 7pm, the festival presents a special concert featuring student choirs working with professional jazz artists at the North Sound Conference Center. Tickets are available at demierojazzfest.org. 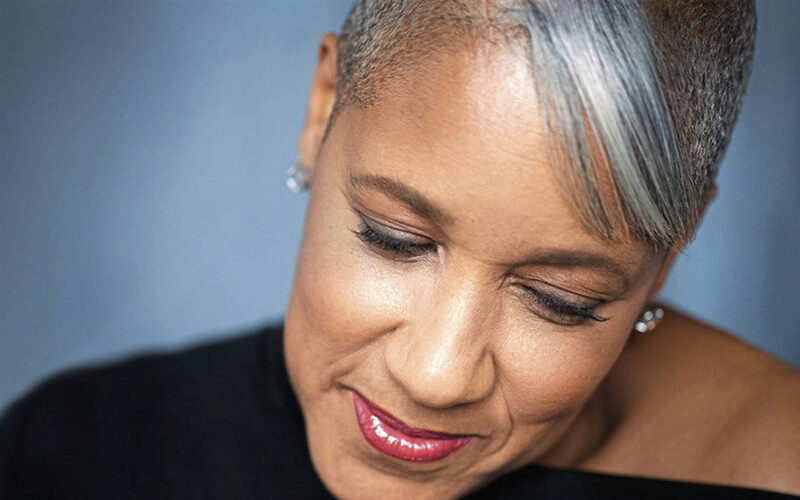 World-renowned vocalist René Marie headlines the evening concerts on March 2 and 3 at Edmonds Center for the Arts. She is joined by song stylist and Festival Artistic Director Dee Daniels, with the All-Star Jazz Festival Band of Bruce Forman (guitar), Dwayne Broadnax (drums), Josh Nelson (piano), and Paul Beaudry (bass), and student scholarship winner Jaidyn Lam. Friday night only sees a special appearance by vocalist Greta Matassa and the Soundsation jazz choir from Edmonds Community College, while Saturday night welcomes special guests Seattle Jazz Singers. Tickets for Friday and Saturday performances are available at edmondscenterforthearts.org. DeMiero Jazz Fest Artistic Director Dee Daniels has been part of the local jazz scene since the late 1970s, where she frequently performed at Edmonds Community College, Soundsation Jazz Camp, and the DeMiero Jazz Festival. A favorite of students and directors, she was frequently requested back because of her passion, caring, and devotion. Jaidyn Lam is the recipient of the 2018 Dee Daniels Vocal Jazz Scholarship; this is the second year this award has been presented. With a vocal range from C#3 to D6, Lam recently earned the Outstanding High School Vocalist Award at the 2017 Reno Jazz Festival and Outstanding Soloist Award at Bellevue College’s 2017 Pacific Vocal Jazz Festival. Evening concerts start at 7pm Friday and Saturday nights at the Edmonds Center for the Arts. Tickets are $25 for students and $35 for adults, and are available at edmondscenterforthearts.org. To learn more about the non-profit festival, including volunteering and donating, visit demierojazzfest.org.